As you know, Superbowl is coming up. Anyone who is a sports fan is going to be huddled in front of the big screen watching it. 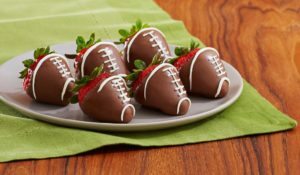 Whether you’re a football fan or you love someone who is, throwing a Super Bowl party is one way to make watching the Superbowl (and Superbowl commercials) a whole lot more fun! And if you work it right, you won’t have to cook much — if at all! You can serve foods that don’t require much preparation, or ask your guests to each bring an appetizer. That way, you won’t be slaving over a stove all day trying to feed a crowd. #1 – Serve good food. Some good choices for food that’s easy to prepare (or buy pre-made ahead of time): pizza, chicken wings, and meatballs. Couple one or two of those with chips, popcorn, soda, and beer — along with a fun dessert like football cupcakes — and you’re party is sure to be a winner in the food department! 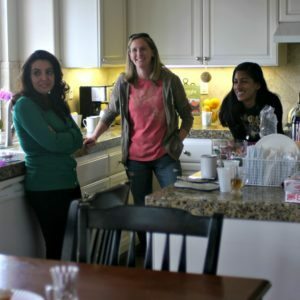 #2 – Invite lots of friends, both male and female. Not everyone at your party will be a football fan. Heck, maybe your wife (or husband) isn’t even a fan of the game, yet they’re still up for hosting a Superbowl party at your house this year. Trust me, they would feel a whole lot more comfortable if there are others they can relate to about non-football stuff at the party as well. Also, having only one girl or only one guy at the party isn’t comfortable for anyone — especially if they’re not a huge sports fan. So to ensure that everyone has a great time at your party, make sure to invite more than one ‘circle of friends’. And have at least a few activities that are fun for non-football fans. #3 – Plan ahead of time. If you plan ahead of time, then you won’t have to leave and buy another case of beer or another package of hotdogs — because you ran out. Instead, make a list of how many guests are coming, what you’ll need, and a timeline, so you can make sure that everything gets done. And that way, no one will miss out on any key moments during the game… or the Super Bowl commercials! #4 – Have different “zones” in your house for people to hang out. For example, you’ll want a place where those who aren’t so interested in the game can talk and watch something else on TV, or just sit around and visit and relax. Not everyone is going to be a football fan. Eating and talking will become the main activities for some of your party guests — it’s only natural. Even those who are big football fans will likely want to chat before, during, or after the game some. #5 – Get your friends involved. If you have a friend who’s a great cook, and maybe another friend who’s crafty and creative, ask for their help with this year’s Superbowl party. That will take some of the pressure off you, and it will probably make the party itself a whole lot more fun! One thing’s for sure, the pre-party prep work itself will be more fun with a couple of extra hands pitching in to help. #6 – Rent a big screen TV if you don’t have one. One TV for a really large group isn’t going to work well — because it will be difficult for everyone to see. 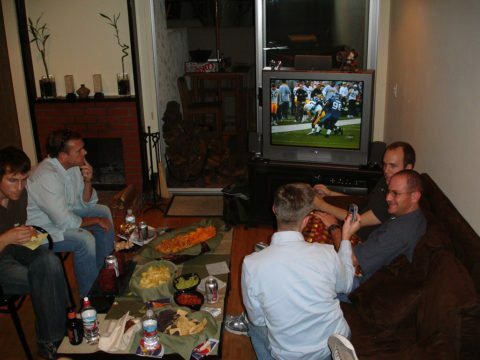 If you don’t want to rent a big screen TV, then bring out a few of your TVs from other rooms in the house — to make it easier for everyone to watch the game. Don’t worry about having the biggest or best TVs for your party. You can even put a little black & white in the kitchen and bathroom so no one misses anything when they’re loading up on food! #7 – Jazz up your home with fun Superbowl decorations. This will make everyone feel as though they are at the game, but without all the standing in line and waiting that goes on in a stadium. You don’t have to be fancy about your Superbowl party decorations — just put up some streamers in the teams’ colors along with some simple football decorations, and you’ll be all set! Party stores and craft stores will have lots of affordable football and Superbowl decorations to choose from. Or, try your hand at some simple DIY Superbowl decorations. #8 – Have designated drivers assigned ahead of time. The last thing anyone wants is for someone who’s been drinking at your party to get in a serious accident — or get a DUI. Trust me, you don’t want anyone to remember your party for those reasons. The police are always out in force on the day of the Super Bowl, and they’re going to be looking for drunk drivers who are leaving parties and bars. By having designated drivers at your party, you’ll be dodging a huge bullet! It’s important not to allow anyone who has been drinking to drive. These days, the law is such that even if someone isn’t over the legal limit and a cop stops you and smells alcohol on your breath and thinks your driving is affected, you can still be arrested for DUI. Instead of having designated drivers on hand, you could also call cabs or Uber drivers. #9 – Set up a room for the kids. Chances are, some of your friends have kids — even if you don’t. Being able to bring their children with them can be a big plus. It might even determine whether they come to your party or not. By setting up a room especially for the kids with games, toys, and treats, you’ll be able to keep the little ones happy and occupied while the adults watch the game. Sometimes kids want to watch football on TV too — so be prepared to have some kids of all ages in the TV room for at least some of the time. Having the extra room just for the kids gives those not interested in the game a fun place to retreat to if and when they want to. 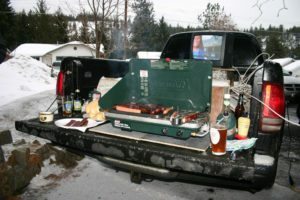 How To Have The Best Superbowl Party Ever!